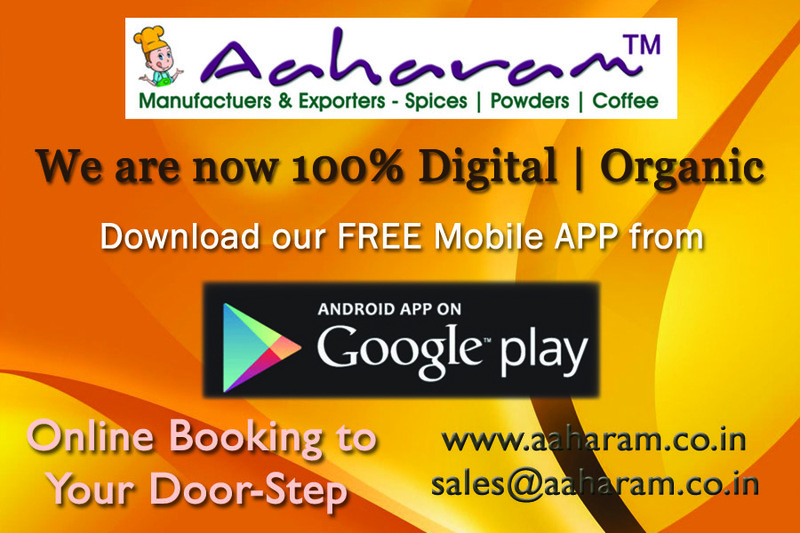 Dearest Aaharians, In a short period of time, our Aaharam website has reached 500 posts with recipes / cuisines from various members of aaharam Group. This was possible only with your immense contribution to the group, to sustain our traditional dishes and other variety of cuisines from various parts of our country, to our followers. This is the time to express my special thanks whole-heartedly to all of you Aaharians, right from the inception of the group to till date, my ex-admins, ex-friends, and all the present admins. We have reached a milestone on our website today 05/05/2017, reaching 500 posts and hope to reach further with more cuisines / recipes with a traditional touch to sustain for ever. 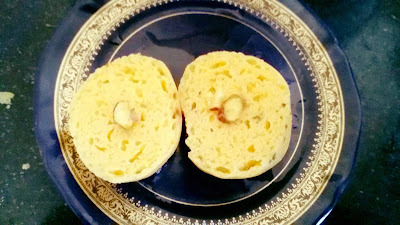 Let me also try to assure that in near future you would have lot of video recipes which would be very easy too. May I request you all at this juncture to pour in your ideas, suggestions, etc as to how to take it further heights....!!! With namaskarams to all elders and Aaseervathams to youngers in this group. A lovely sweet from rich Bengali Cuisine made with Panner.....RAJBHOG....with Dryfruits filling . Method : Pour the milk in a pan and allow to boil. Once the milk is boiled switch off the flame and allow to cool for 5 mins then add vinegar / lemon into it. Mix well.You can see the whey separate .Stain this in a muslin cloth. Give a wash as the vinegar smell needs to go and hang it so that water is drained. After 1 hour, the paneer will look a little crumbly. 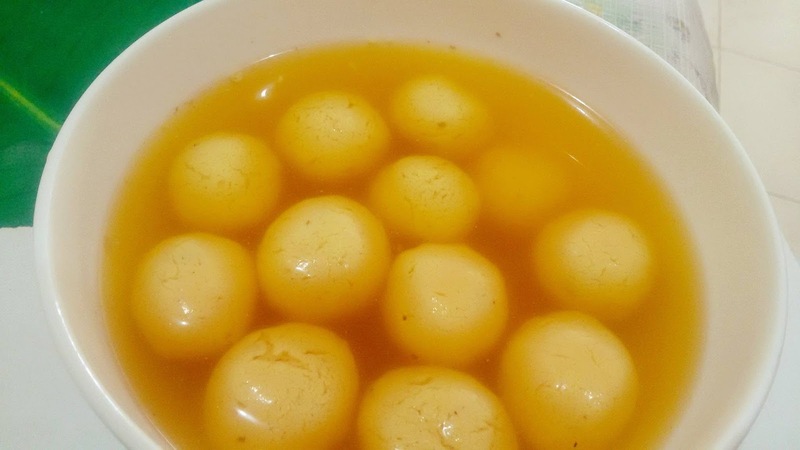 Take a wide pan add 2 cups of sugar and 4 cups of water put cardamom pieces, Rose water, yelow colour and bring to boil now slowly add the Panner balls and close with a lid and keep the flame in high for 8 mins and then lower the flame and cook for 15 mins Juicy Rajbhog is ready.....allow to cool . Keep it in the fridge and serve after 8 hrs . The Rajbhog will be soft and juicy. 1. In a bowl mix shredded paneer, potato, all dry powders, salt, ginger, garlic and green chilly paste. Add chopped coriander leaves. Add salt. Mix well. 2. Mix corn flour, a pinch of salt, mixed herbs and little water. Mix well without lumps. Keep watery. 3. 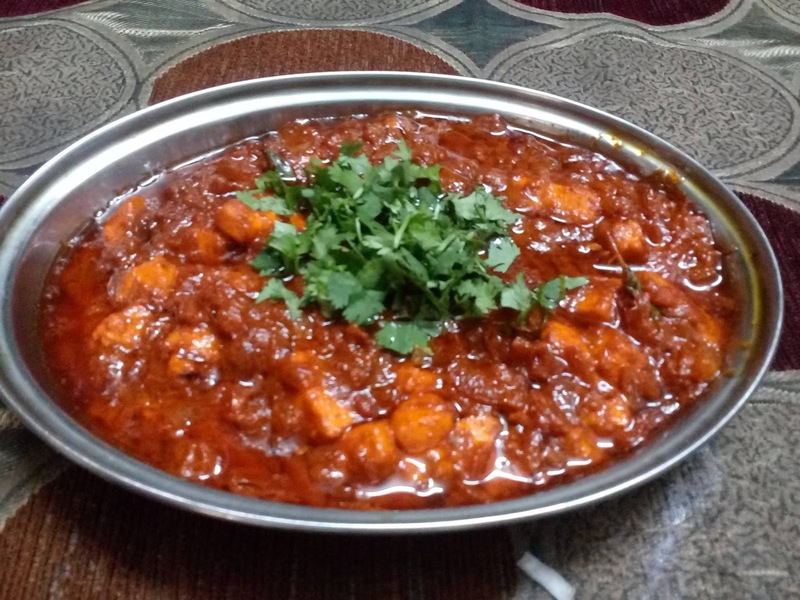 Take paneer mixture and do like lemon size balls. Dip them gently in the corn mix and coat them well on the bread crumbs. 4. 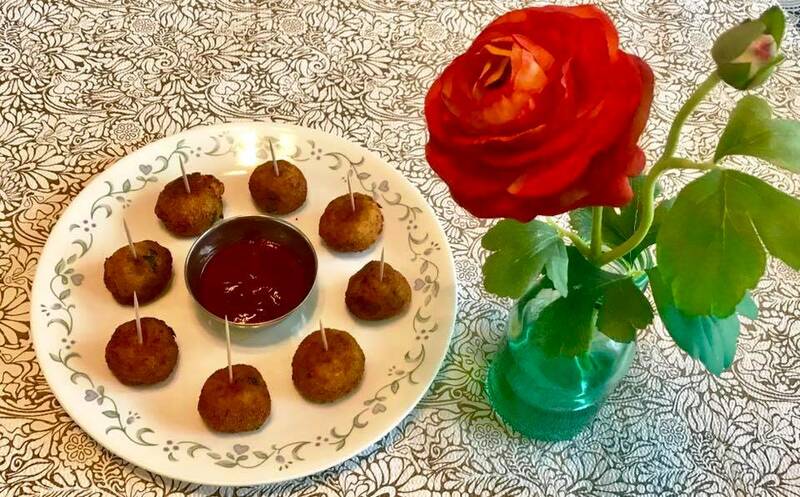 Do the rest of them and keep these balls in the fridge for one hour. 5. After one hour, fry them in a medium heat oil. Once it comes to golden brown color,remove them. 6. Insert a toothpick and serve with ketchup or green chutney. Note: potatoes should be steamed well. No water content should be there. The mixture must be refrigerated before frying. Or else it will separate from the oil. You may use paniyaram pan to consume less oil. 1. Mix all the ingredients to form a dough. I did not add any extra water as carrots have enough water. 2. Roll them into small rotis and stuff the Paneer mixture and shape them. Assembly : 1. 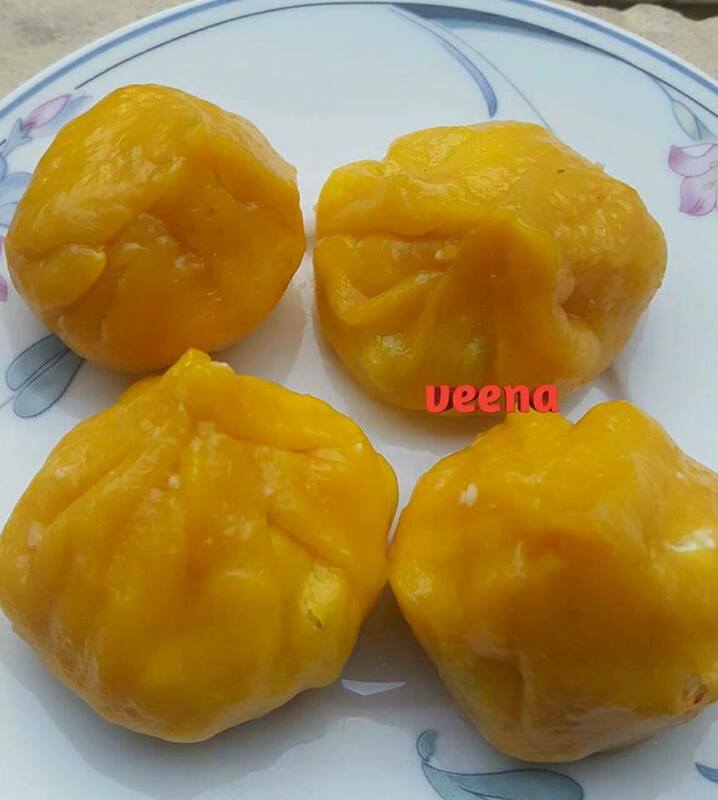 Steam the Momos for 15 minutes and serve with the sauce. Kofta is a Middle Eastern and South Asian dumpling. The word kofta is derived from Persian kūfta: In Persian, کوفتن (kuftan) means “to beat” or “to grind” or dumpling. Koftas in South Asian cuisine are normally cooked in a spicy curry . The vegetarian variety like lauki kofta, shahi aloo kofta, malaai kofta are popular in India. Coriander leaves- few finely chopped . Salt - as per needed . Method of preparation: For kofta: Pressure cook the veggies. In a mixing bowl take the cooked veggies, grated paneer, chopped cashew nuts, coriander leaves finely chopped , green chilli finely chopped, corn flour, salt, cumin powder, coriander powder, red chilli powder and make them small balls. Dip them in corn flour and fry them in oil. Koftas are ready. And add 1 cup of water, cream and roughly grinded cashew nut and bring to boil. Add the koftas gently and turn off the gas. 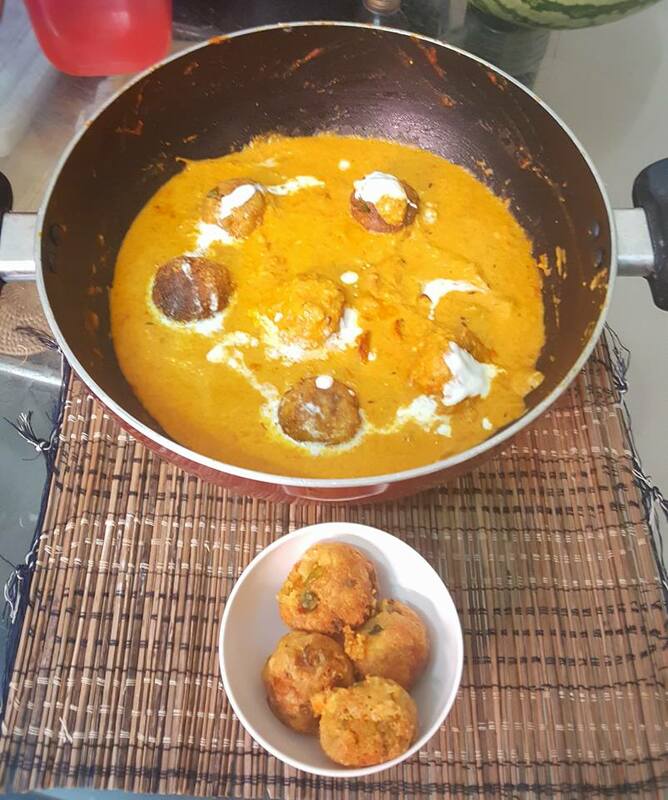 If you are serving late then later add the koftas and bring it boil. Add the koftas only at the time of serving. Else we find them breaking . Spices .. Red chilli Powder-Salt-Dhania Powder. (No turmeric powder used) ... its optional .. 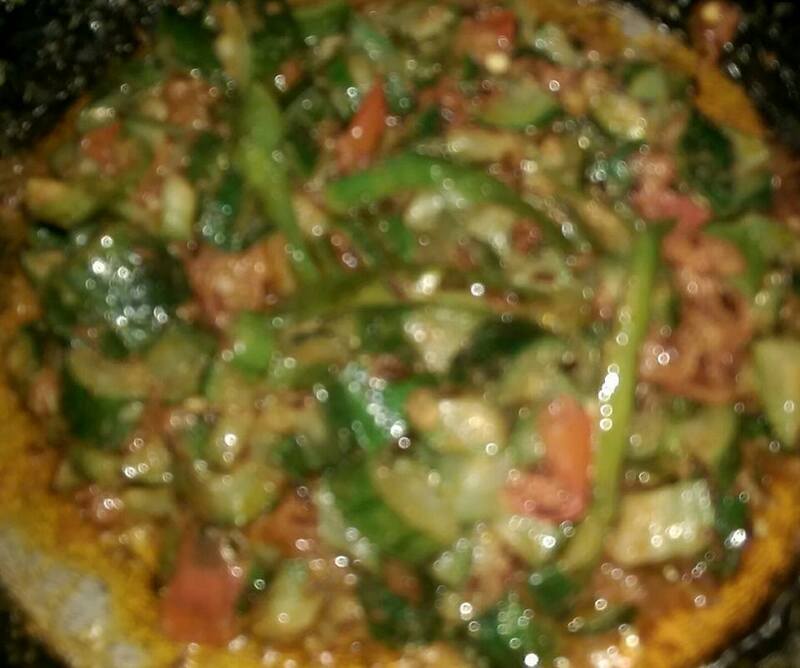 In a Kadai -- add oil --Jeera -- when it becomes brown - add tomatoes & green chillies .. after frying for a while add Peerkankangai pieces .. fry it in less fire till it is done -- add spices .. keep it for 2 minutes and switch off the gas. In half glass water, cook 1 large sliced onion, 2 large tomatoes, 2 kashmiri Chilli, 8 pieces kaju. Cook till mushy. Puree the mixture and sieve it. U will get thick smooth gravy. Put saffron strands in 1/2 cup warm milk and keep it. In a pan, take oil+butter. Saute jeera, 2 cloves, 1 Bay leaf, 2 Elaichi, 1 stick cinnamon. Add chopped onions (1large). Fry. Add 1tsp* only ginger-garlic paste. Fry. Add 1tsp each:: turmeric pwd, kashmiri chilli pwd, homemade roasted and powdered dhanajeera pwd. Add the paneer. Coat it with these masalas. 2 mins. Last add salt . Mix. 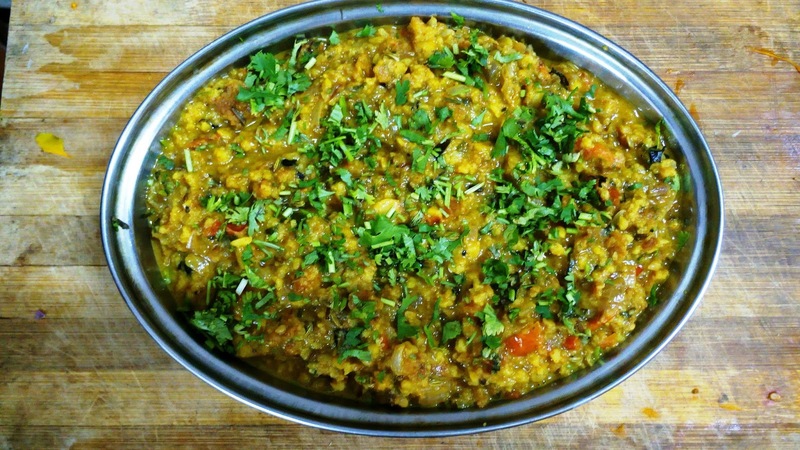 Kasuri methi and kothmir. Came out super yummy. No one can guess whether it's made out of nuts. It's a very easy recipe. Dedicated to our admins 😊was thinking what to do to share my happiness. Here I got a quick recipe for a visual treat..!! Swaminatha Sharma Sowjanya Suraj Bharathwaj Sairam Raji Venkatesan Ravi Ramamoorthy and Meera Venkat ji..! 1. Coarsely grind the walnut. 2. In a kadai add 2 spoon ghee. Fry the walnut till it changes light brown color. 3.In an another pan, add milk, saffron and cardamom. Let it comes to boil. 4. Once walnut changes its color, pour this hot milk. Keep medium flame. Once it cooks for 3 to 4 minutes, add sugar. 5. When it mixes well, add remaining ghee. It will take 6 to 10 minutes. 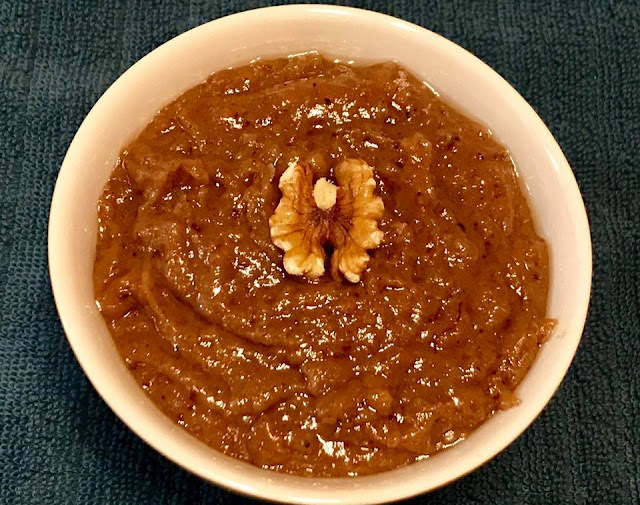 Once ghee comes out from the pan, Switch off the stove.Yummy walnut halwa ready. Note: coarsely grind the walnut. 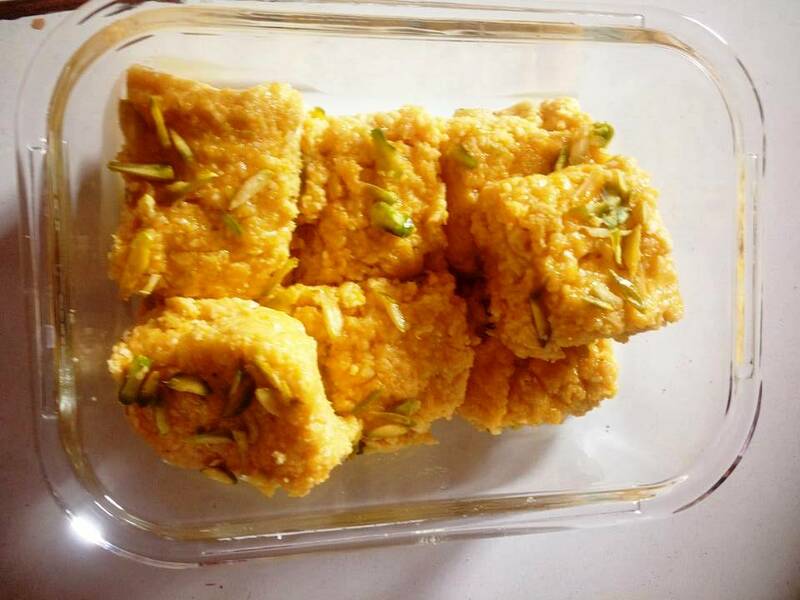 For healthier version, you may add jaggery instead of sugar. One of my Karnataka friend taught me this recipe. 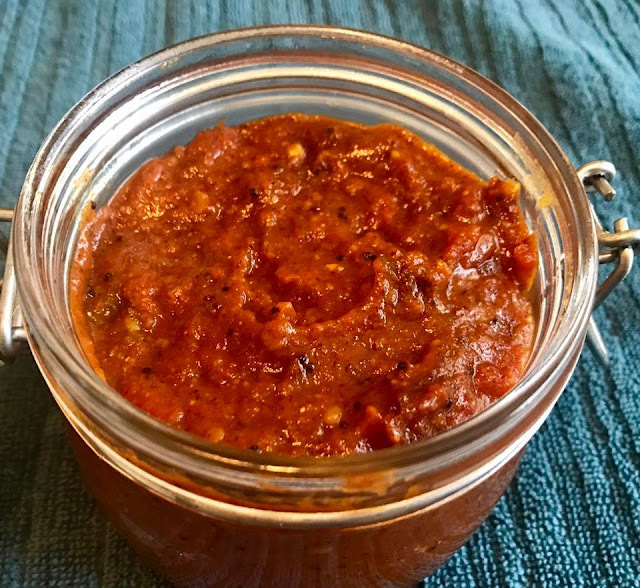 Goes well with rice, idly,Dosa and roti. 1. Dry roast mustard, urad dal, Methi seeds, and Kashmiri red chilly separately and grind together. 2. In a kadai, add sesame oil. Add mustard seeds, hing, curry leaves. Then add chopped tomatoes, red chilly powder, turmeric power and salt. Add Tamarind paste. 3. Let it cook for 10 to 15 minute. Once tomato cooks well and becomes like a mass, add this powder and let it cook for few minutes. 4. Lastly add some jaggery. Mix well. Note: use ripen tomatoes. If you don't have Kashmiri chilly, you may add Kashmiri red chilly powder along with regular chilly powder. Consume within a week. 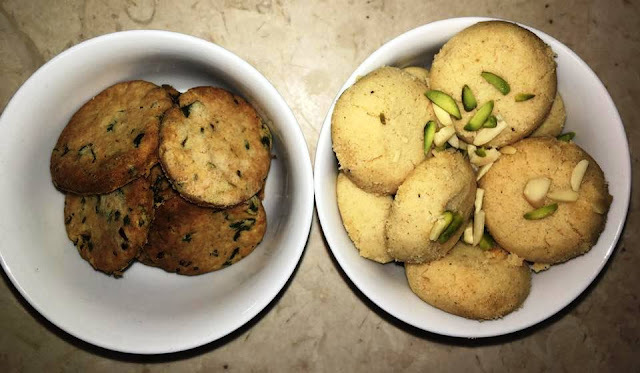 Method : Mix the rava,salt,sugar,cardamon powder with oil/ghee and curd and half the milk and keep.aside for 30-40 mins.. After 30-40 mins add the baking powder and soda and mix well..check the consistency...the batter should be like idli batter consistency...if thick add the reserved milk and mix...add 1/2 of the nuts and tutti fruiti..mix well.. Pour in a greased pan ... sprinkle the remaining nuts and tutti fruits and bake in a preheated oven at 180 degrees for 30-35 mins.. Note : This can be steamed in a pressure cooker or idli cooker too.. If you do.not have fine semolina ..just powder the normal Bombay rava in the mixie and use..
1 1/2 cup whole wheat flour. One cup is 250 ml cup. 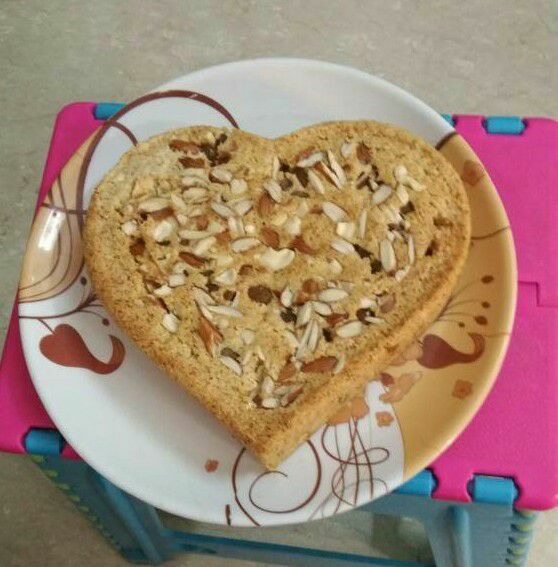 1 tbsp milk powder, 100 gms or 1/2 cup soft butter. (7 tbsp), 2 or 3 tbsp yoghurt, 1 tbsp sugar, finely chopped corainder curry leaves and green chillies, 1/2 tsp pepper powder, salt. Take butter and sugar in a mixing bowl, beat until fluffy. To this add wheat flour, milk powder, salt and mix well. Add chopped corainder curry leaves and green chillies, pepper. Mix well add yoghurt and knead to form a dough. Don't knead very hard. Cover the dough with cling film and keep in the fridge for 20 mins. After taking out roll the dough into thick circle. Cut out cookeis as cirle or square. Arrange them on the baking tray and bake them in the preheated oven for 12 to 15 mins. 1. Soak rice, dal, red chilly, and tamarind for 3 to 4 hours. 2. Grind them along with curry leaves to a smooth Dosa consistency. Add cumin and pepper lastly. It needs to be coarsely grounded. 3. Add hing,and salt. 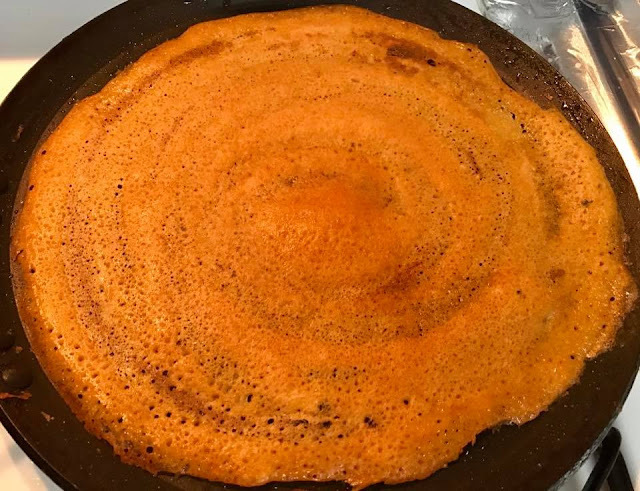 Do like Dosa. It comes nice and crispy. Note: if you want a healthier version, can substitute with Saamai (Little millet) or Thinai (Foxtail millet) instead of rice. 1. In a pan add olive oil, add mustard, hing. Add green chilly paste. Sauté for few secs. 2. Add all veggies. Sauté only for a minute in high flame. We must retain the crunchiness. 3. Lastly add coriander leaves and switch off. Mix lemon juice. Garnish with peanuts. 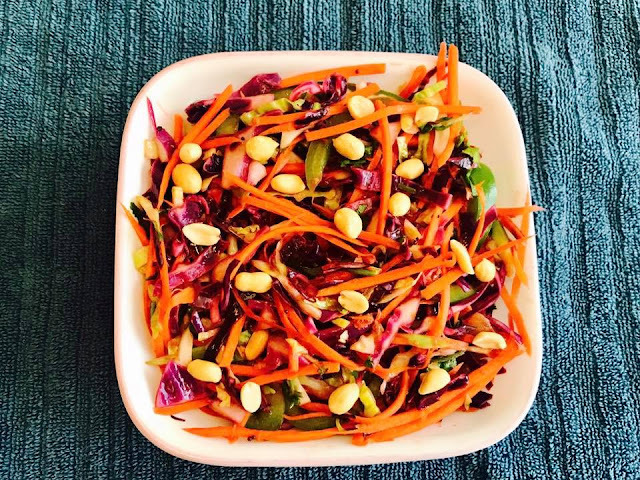 A very healthy and tasty salad. If you wish you can mix like a raw salad. But I like to sauté for few secs. அம்மாளம் : நீ இந்த மசாலா வடைய ஒரு நாலு வாங்கிண்டு.. நன்னா உதிர்த்து வச்சுக்கோ... ஒரு 2 வெங்காயம், தக்காளி நன்னா பொடிசா நறுக்கி... 1 கரண்டி நல்லெண்ணெய் விட்டு 2 பட்டை, 2 கிராம்பு, 1 ஏலக்காய் வதக்கிண்டு... இந்த வெங்காயம் தக்காளி போட்டு நன்னா வதக்கு... வெந்தவொடனே.... உதிர்த்து வச்ச அந்த வடைய போட்டு நன்னா வதக்கு... கொஞ்சம் உப்ப போட்டுக்கோ... 1/2 டீஸ்பூன் மஞ்சப்பொடி, மொளகாப்பொடி, ஜீரகப்பொடி எல்லாத்தையும் போட்டுண்டு... வத்துக்கு.... 1/2 டம்பளர் .. பசும்பாலை அதுல விட்டு... தேவையான ஜலம் வீட்டுக்கோ.... அப்படியே மீடியம் ஆ வச்சு.... நன்னா வெந்தப்பறம்... நறுக்கி வச்சு இருக்கிற கொத்தமல்லி தழைய போட்டு... சூடா செட் தோசையோட எடுத்துண்டு வா.... நன்னா சாப்பிட்டு ரொம்பநாளாச்சு........ போ போ.... சீக்கிரம் பண்ணு... நாழியாரது.... பசிக்கிறது வேற..
2. Grind spinach, coriander leaves, mint, green chili, garlic and ginger to a fine paste. 3. In a cooker, add oil and ghee. 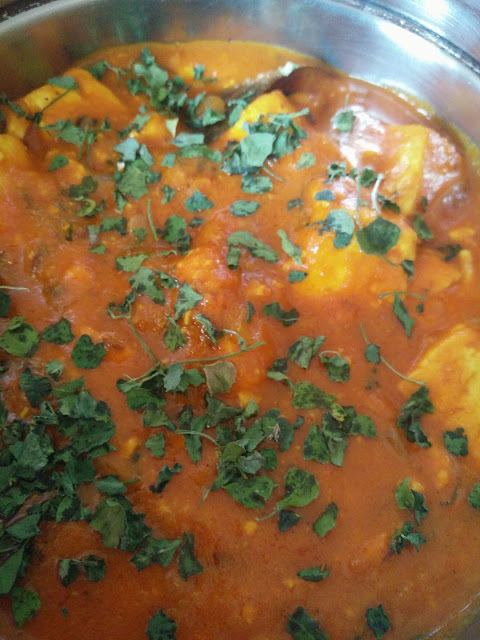 Season with whole garam masala and cumin seeds. 4. Add onions, sauté well.add the paste. Sauté for few minutes till raw smell goes. 5. Add salt, ( 2 cups green paste+1 and half cup water) and lemon juice. 6.cook for 2 whistle and switch off. 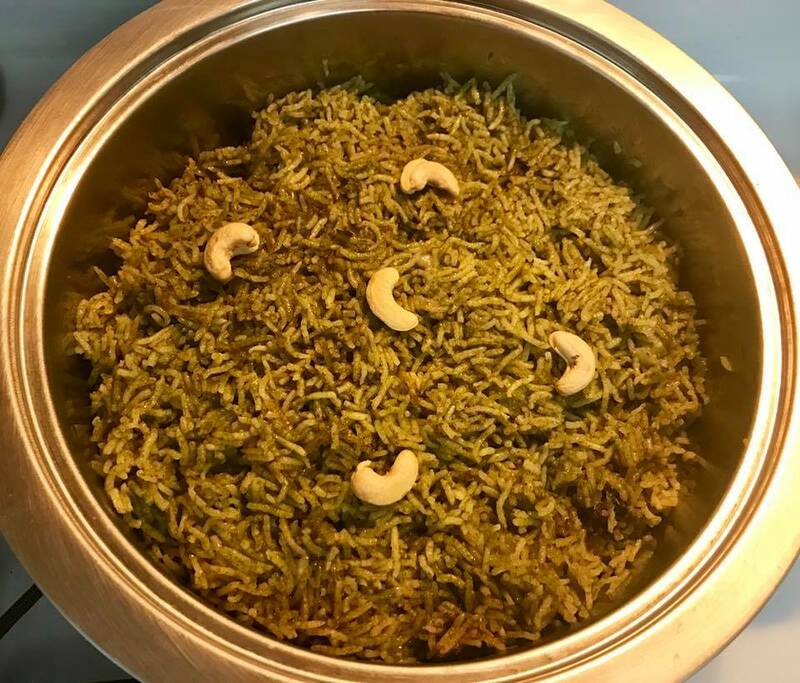 Yummy Briyani is ready. Note: if you want you can add Peas, carrot. It's your wish. You can add fried bread in the finishing time. You can make No onion, no garlic too.just add ginger only in the grinding part. Avoid onions. Directly add the paste.